WordPress Security is one of the hot subjects in the IT business world. WordPress is the world’s most popular website building software which powers nearly 27% of all websites. With so many hacking attempts made to infiltrate sites based on WordPress, one might begin to wonder if WordPress is secure or not. 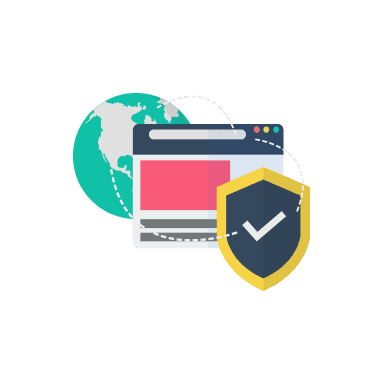 The security team behind WordPress works tirelessly to fix any vulnerabilities that surface within the WordPress core. They also release Security patches from time to time. It comes with many bug fixes that are released consistently and on a regular basis. Bookmark this article and return to it whenever you want to check whether your site has all the security measures in place. Content Management System (CMS) is popularly used by many online businesses to create their own official websites. A popular CMS platform is WordPress. WordPress is proven to be one of the founding platforms in terms of the content management system (CMS). Instead of relaying to a website developer, WordPress allowed users freedom to design their own websites in an easier way. If your WordPress site gets hacked, it can cause serious damage to your business and brand. Cybercriminals who were responsible for the attack can steal confidential user information, passwords, inject malicious codes on your site, and can even distribute malware to the visitors of your site. If your site gets infected by ransomware, you may have to pay ransom to hackers for regaining access to your website. All these highlights the importance of WordPress security. The WordPress company is doing its best to secure their users. After all, they're a business benefiting from their own customers. They'll do their best from assisting to protecting their customers from online attacks. Though, there are factors that may still lead to website security failure such human error. Read more..
Is your website is based on WordPress? If it is then, that’s an excellent choice. WordPress is the world’s leading Content Management System (CMS) with loads of useful features. But with that immense popularity, comes a risk of cyber-attacks. As with any popular software, hackers tend to target WordPress CMS and exploit your website. Less Add-Ons - Always run plugins that are required for your site and dismiss all unused, testing, or debugging plugin. Less Scripts - Tracking pixel affects the overall performance of a website by the increasing the browser load. Caching Headers - Set proper caching headers on the site to minimize the number of requests. Compression - The compressed files enable a web server to reply with a much smaller file, this helps in presenting a better experience for the user. Optimize Images - Compressing and optimizing images for the web retains the quality and never bites the load time. Enable Keep Alive - By enabling Keep Alive, the browser will do the handshake once and reuse the same session to download all others files. Disable DNS Lookups - It is vital to reduce the DNS lookups and speed them up for your WordPress site. We're very concerned about the security of many WordPress users. That's why we dedicate our time to educating many of you to secure your WordPress website properly. Remember, WordPress gives you the freedom to maneuver your own security controls. Your own security is also in your own hands. You might be using a content management system (CMS) like WordPress, Joomla or Drupal, etc. A CMS is easy to use, and it is an excellent platform for managing your site, but if it is not updated from time to time, it can lead to cyber-attacks. CMS providers regularly release latest updates and patches for their CMS products to provide a higher level of security and patch are known vulnerabilities. Hence, it is important to make sure that your CMS, plugins, themes, extensions are up-to-date. This is one of the essential tips for website protection. Web Application Firewalls serve as the shield for your website protecting it from malicious traffic and hackers. A web application firewall examines your website traffic on a regular basis. It also analyses the source of the website traffic and the type of information requested by the source. Based on all those factors, the Web Application Firewall allows the legitimate traffic and blocks the malicious ones like hackers and spambots. Using a strong and complicated password that is hard to guess, for admin access, can serve as an extra layer of protection to your site. If you haven’t set a strong password, head to your CMS portal and change it right away. A strong password is the one that contains more than eight alpha-numeric characters, i.e., with a mix of uppercase and lowercase letters, numbers, and special characters. Websites offer businesses massive potential for sales, marketing, and customer service. Thus, it is critical for businesses to address any security vulnerabilities in their sites as soon as possible. You can secure your websites and prevent hacking attempts by Comodo cWatch, an excellent site security solution will provide complete protection to all your websites. Comodo cWatch is the best website security software to scan a website for malware. It can check your website for malware and remove threats within minutes. With its powerful cloud-based malware scanning, Comodo cWatch can contain even the potent security threats to your site. Try cWatch today! When your website security is compromised, there's a big chance that your customers won't trust your brand anymore. In addition, your infected website can spread the malware to other affiliated websites resulting in more headaches. Comodo cWatch scans websites and provides detailed reports on malware threats, DDoS attacks, brute-force attacks, and other vulnerabilities. Advanced intelligence leveraging current events and data from 85M+ endpoints & 100M+ domains. Powerful, real-time edge protection for web applications and websites providing advanced filtering, security and intrusion protection. Global system of distributed servers to boost performance of websites and web applications. Identifies malware, provides the tools and methods to remove it, and helps to prevent future malware attacks. On the top on all the benefits from cWatch, you'll get the initial test for free. No need for credit cards. We created a plan that suits any interested online entrepreneurs to increase their website security. The Comodo cWatch Web contains unique sophisticated web security features that are not available in other website security tools. Remove Website Malware for Free! Article about Wordpress Security Tips are helpful?